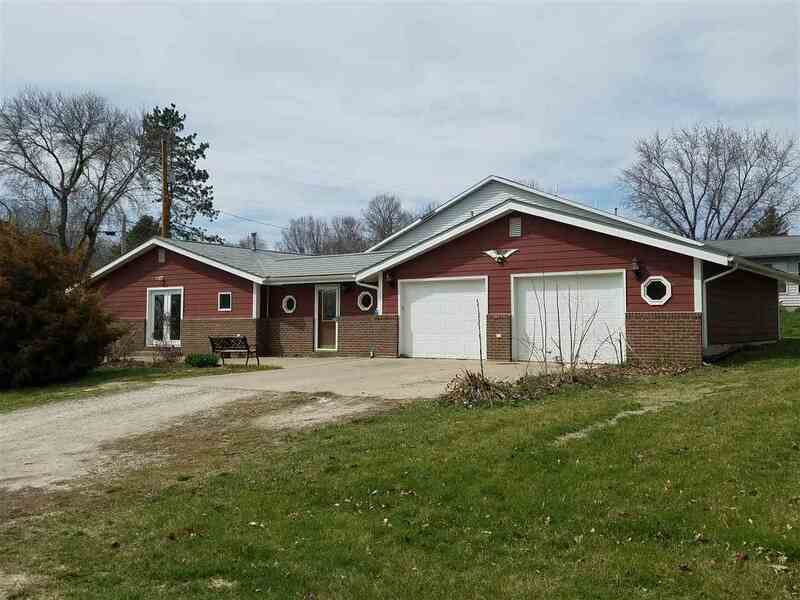 This is an accessible 3 bedroom ranch with 4 foot wide halls and a walk-in bathtub. Large eat-in kitchen/dining area is full of light from the south facing patio door to the concrete pad. Laundry room is on the main floor and has a 5X7 walk in closet for storage. There is a huge attached two car garage with 8-10 feet available up front for a workshop and bike and lawn mower storage. There is fresh paint throughout and new doors on all bedrooms and the bathroom.